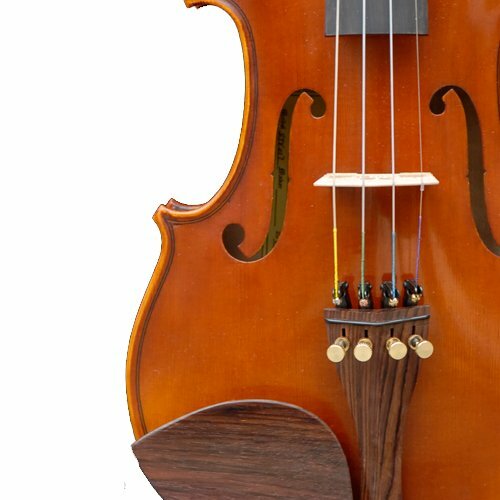 Cecilio CVN-100 violin is a perfect for the student musicians. It features hand-carved solid spruce top, hand-carved maple back and sides finished with beautiful varnish and inlaid purfling. This violin is fitted with maple fingerboard, chin rest, and alloy tailpiece with four integrated fine tuners. 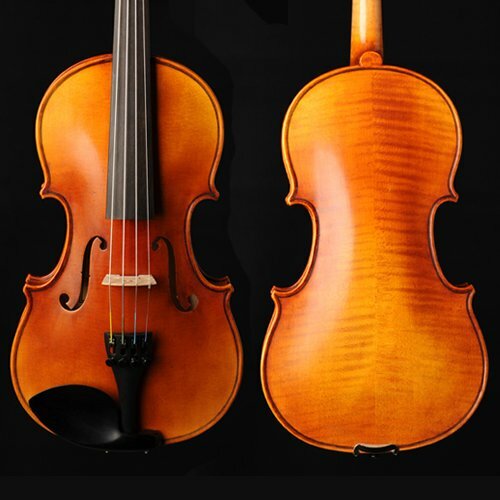 Violin accessories include a Brazilwood bow with unbleached genuine Mongolian horsehair, a lightweight form fitting hard shell case with pockets and strap (making it convenient to carry to school or orchestra), adjustable shoulder rest with soft foam padding & soft rubber feet, quality rosin cake, violin bridge and an extra set of violin strings.